Moments happen every day and everywhere. One just has to be aware of them. I love documentary family sessions, they are all about honest moments, and real feelings. No one is posing for the camera, and I find that only this way it is possible to capture these tender moments, that so often go un noticed. I have a simple underwater casing that is very dependable. I go where the family goes. 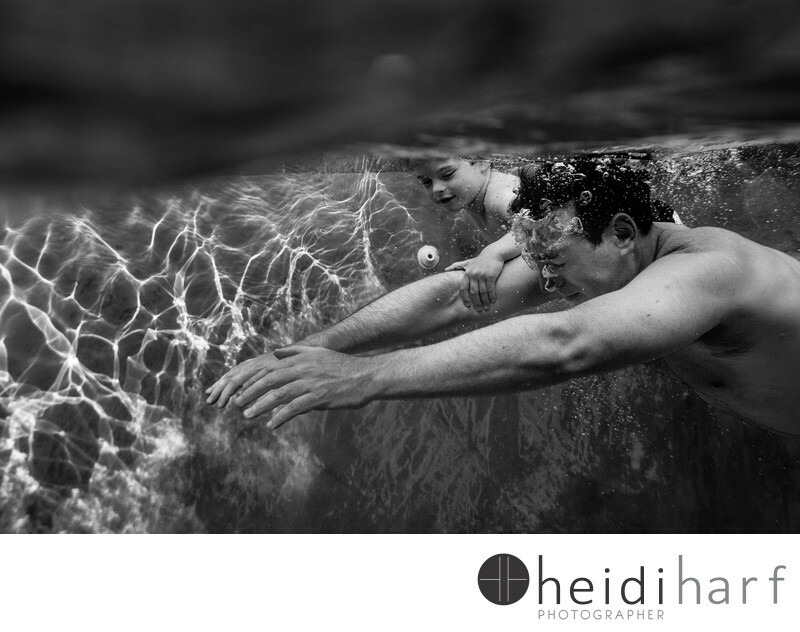 In this session in Southampton, New york, I ended up in the pool with this family. Dad and Son were racing across the pool. By anticipating the moment, and what I wanted, I positioned myself, and waited, this is how I was able to capture this lovely moment between father and son. Keywords: Candid (81), Documentary (6), family photographer (66), family portraits (42), Hamptons (39), kids (87), New York (36), underwater (6).